On their self-titled full length sophomore release, Junip stake a definitive claim into the world of indie folk. As a band, Junip have been in existence for over a decade, but the fact that this is only their second album (the first, Fields, came out in 2010), is quite unusual. Junip made a few EPs early on, and took a break for lead singer Jose Gonzalez to launch a solo career. His hauntingly beautiful cover of The Knife’s “Heartbeats” made music audiences take pause, and Gonzalez quickly reached levels of stardom that solo musicians only hope to achieve. Fast-forward a few years, and Junip’s following has increased exponentially. This is notably quite a role-reversal. It is much more often the case that a lead singer of a popular band splits off on his own; but rarely does a band’s status rise after their lead singer’s does, and it was refreshing to see Gonzalez happily return to Junip. It takes merit to not get carried away in a moment of fame, although this never seemed to be his game. The musician always gave off a shy, humbled air — one that was appreciative, introspective, and even a tad mysterious. He is not outspoken, and every move is deliberate. What Gonzalez brings to the table is his unique ability to sound quiet and forcefully loud at the same time. 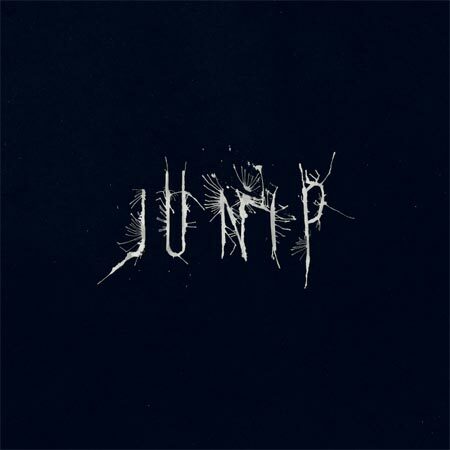 It’s what makes him one of the more gifted vocalists of the past 10 years, and also highlights how he adds to this sense of balance throughout Junip, which contains a similar earnest, deliberate quy throughout, but without deference to the fame of Gonzalez. Junip have a knack for making a statement without being obnoxiously obvious about it. On Junip, every song is a unique combination of powerful and intimately understated. This is achieved by giving the album a diverse mix of louder, larger-sounding tunes, and more quiet, reflective ones. “Line of Fire” as an opener is a wise choice, as it starts off on an upbeat note and then gently eases the listener into the lower energy side of the record with “Suddenly”, which hints at chilled out dub influences. This well-balanced take on the record is what makes Junip so skilled, and perhaps is a reflection of how they have used the time between recordings to really hone in on what they want from a record. “So Clear” is a great example of an emphatic rock n’ roll tune with oomph behind it. The guitars are louder on the chorus, but with purpose, while the rest of the song is on the mellow side, providing a definitive sense of contrast. But “Your Call” is by far the highlight track of the album for me; an easy rolling guitar rhythm complemented by Gonzalez’s gentle vocals provides a perfect combination. Mid-way through Junip the band presents us with another contrast: “Walking Lightly” is another steady, mellow tune — which on Spotify, Gonzalez refers to as their “flower power…sunny vibe” track — but it is followed by, “Head First”, which unleashes in a burst of power and energy. To hammer the point home, even these song titles back-to back are a subtle nod to the theme of balance, because they could be seen as opposite actions when taken literally. One does not launch headfirst into anything when walking lightly. Junip present a similar situation with the last two tracks on the album. “Beginnings” has a bouncy chorus filled out with larger percussion, reflective of what is exciting about a beginning, and “Said and Done” is a quiet, reflective closer, with a drum machine backbeat and a bittersweet chorus layered on top. By giving the end of the album the balance it deserves, Junip makes what would be rather straightforward indie folk more interesting. They give the listener layers to peel away, assuring that Junip is a truly a unique and subjective listening experience. The strength of Gonzalez’s intoxicating voice, compiled with the skilled musicianship of Junip, give this record a strong chance for staying power.